Some nights I’m in such a hurry because I’m trying to finish watching Dexter on Netflix. I just want to plug my earphones in and disappear into that show. Yes, I know, I’m hooked! 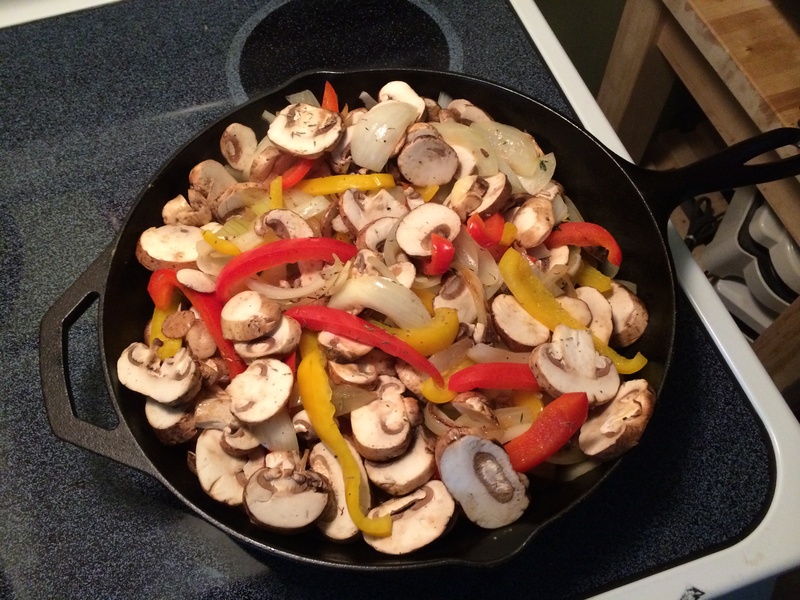 When it comes to dinner it has to be something quick and easy and my French Dip Sandwiches With Sautéed Mushrooms, Onions, And Peppers is just the ticket. I’m going to be taking some help from the grocery store for this recipe. I’m going to be using sliced top round deli rare roast beef for this recipe. Remember, I really want to finish watching Dexter. 3/4 pound of Provolone cheese. In a saucepot on the back burner, heat the beef and chicken broth on medium-low. 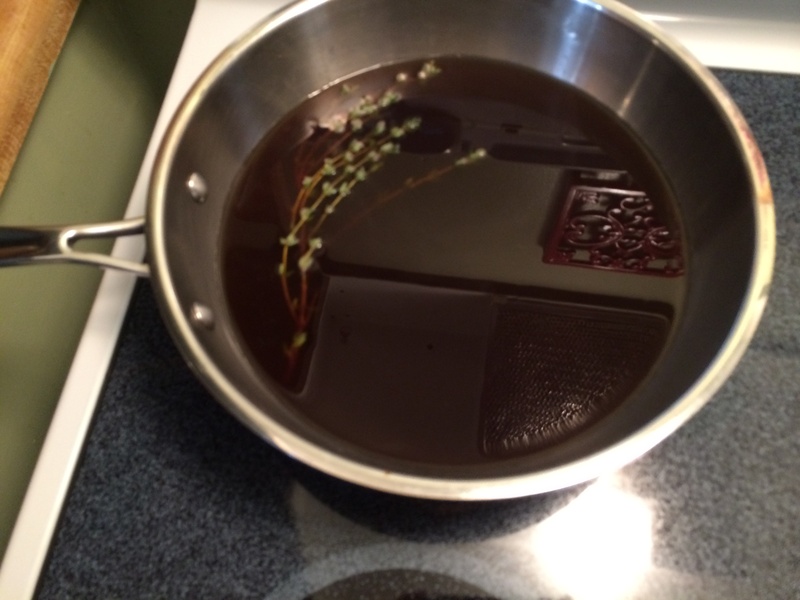 Toss in 2 sprigs of fresh thyme, Worcestershire sauce, Kosher salt, and black pepper to taste, whisk to combine. Allow the Au Jus to come up to temperature then reduce the heat to low to keep hot. 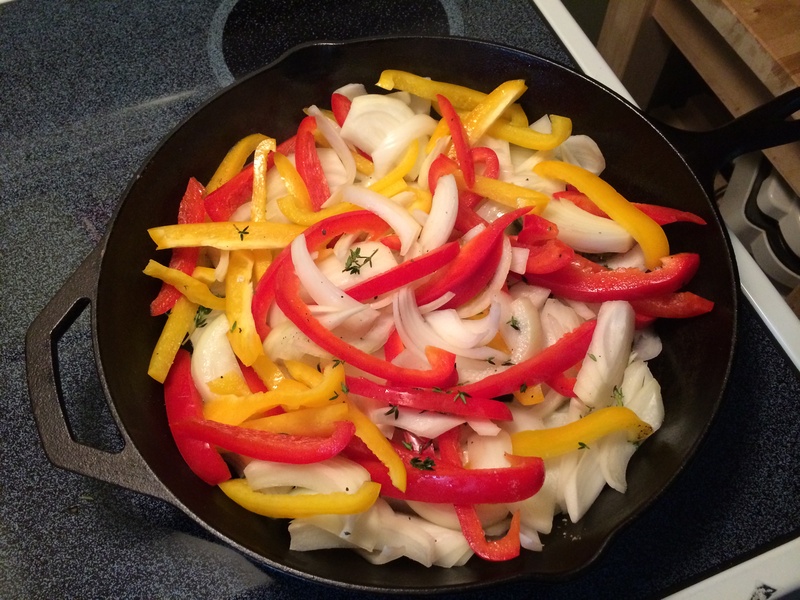 In a preheated cast iron skillet heat 2 tablespoons of olive oil on medium heat. Add the sliced onions, cook, stirring frequently, until they are very soft and golden in color, 7 to 8 minutes. Add the garlic and crushed red pepper flakes, cook for 1 minute more. Add the mushrooms, season with Kosher salt and black pepper, continue cooking stirring from time to time, until all the moisture given off by the mushrooms has evaporated and they’ve turned golden brown, 6 to 8 minutes. Add the peppers, season again with the remaining Kosher salt and fresh ground black pepper, stirring frequently, until the peppers have softened and are brown in color around the edges, another 6 minutes. Remove from the heat and set aside. Place all the sliced rare deli roast beef on a plate, dividing into 4 equal portions. 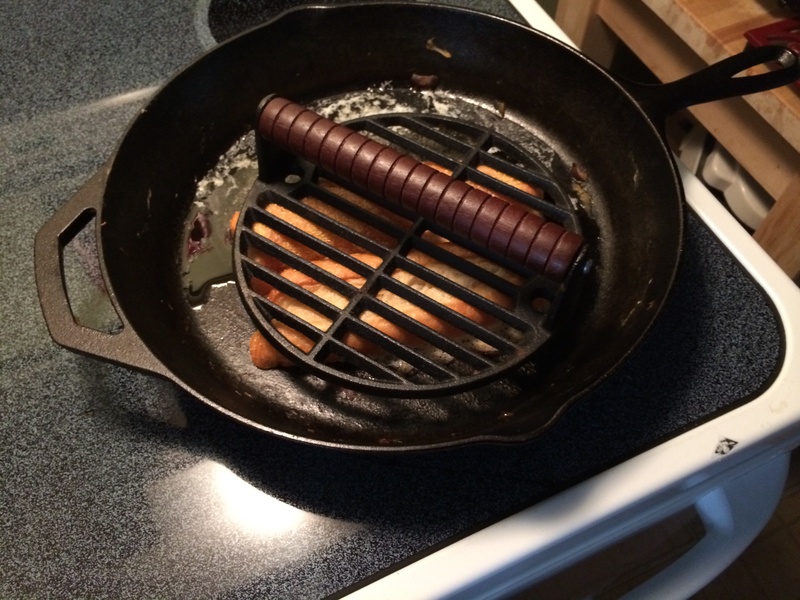 In a preheated cast iron skillet, on medium-low heat, place the buttered hoagie rolls face down into the pan, placing the grill press on top. This guarantees the hoagies will brown evenly and takes only 1 to 2 minutes per hoagie. Transfer the buttered/toasted hoagie rolls to a rimmed baking sheet pan. 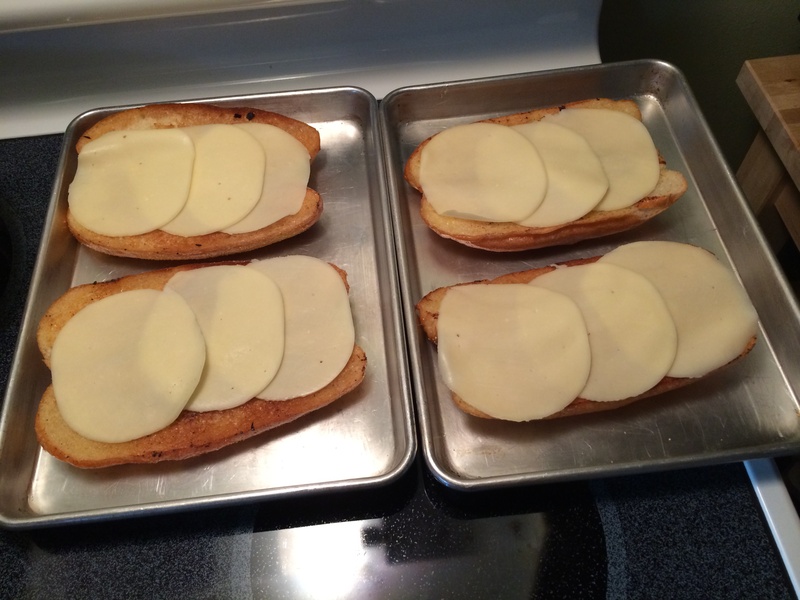 Lay three slices of Provolone cheese layered across the top of each hoagie. 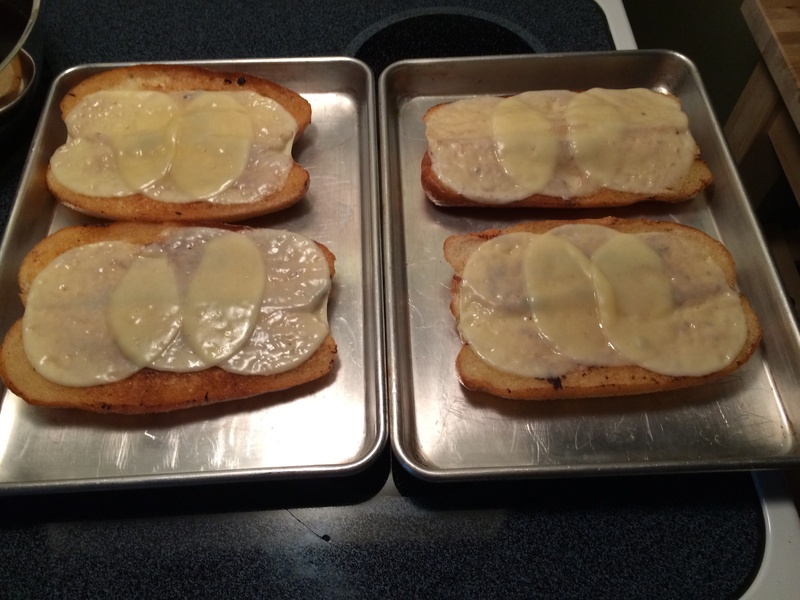 Place the hoagies under the broiler just long enough to melt the cheese. Note: Keep a close eye on the hoagies the cheese melts quickly. Turn the broiler off, remove the hoagies from the oven, it’s time to assemble the sandwiches. 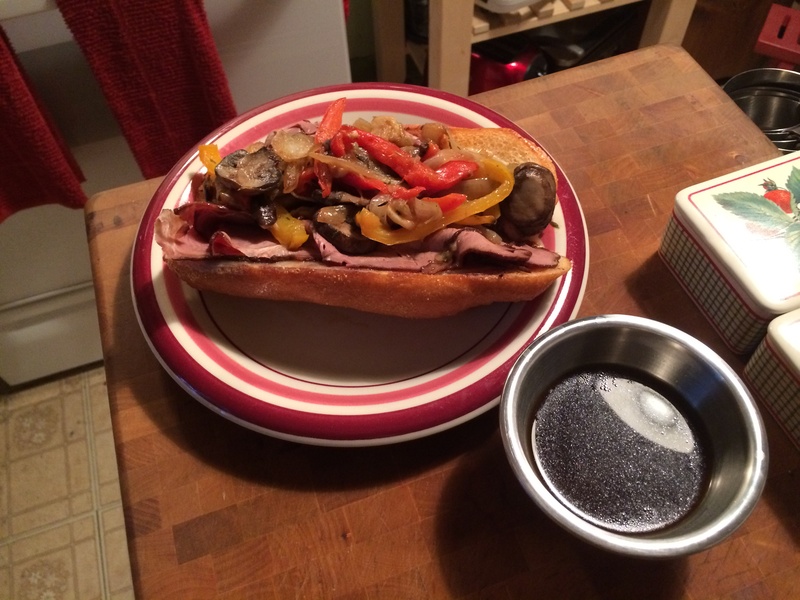 Using a pair of tongs, dunk the first portion of the beef into the hot Au jus then place onto the hoagie. 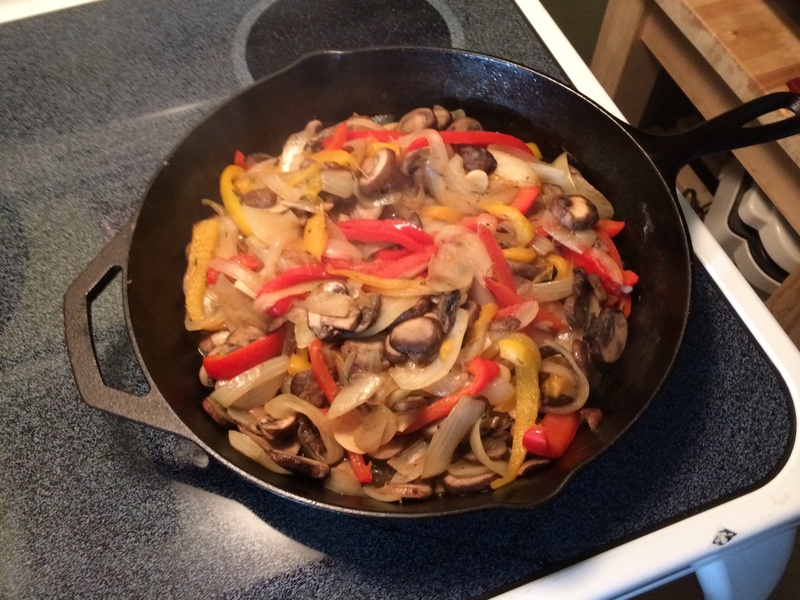 Top with a good amount of the onions, peppers, and mushrooms. Serve with a side of the Au jus.